It is all about the songs. L.O.S. (Lyrically Out Spoken) has the songs. He's got everything except company on the Zip Records label. L.O.S. is hip-hop, through and through and very different from guitar pop and singer/songwriter artists on the Zip label. So why L.O.S.? Aside from "the songs", L.O.S. perfectly melds the place with its musical landscape. He comes at us in the familiar context of urban music and he mixes a street-smart sensibility with the universal feelings of a good beat. The place is San Francisco; an amazing breeding ground for hip hops most creative artists. Some of them (San Quinn, Bailey, Feeazalo) appear as guests on the L.O.S. debut album "L Dot". L.O.S. has bravado and lyrical instincts which fit together with beats and melodies that stick in your head and other parts of your body. It's not The Beatles, but when we first heard L.O.S. six years ago (The Package - Zip 068? ), we were struck by his ability to evoke a mood - defiant, fun loving, humorous - and a mood that one wants to revisit again and again in his songs. L.O.S. was born in gritty Oklahoma City. He moved to the San Francisco Bay Area when he was 11. His passion for music started at a very young age. Intrigued by the creativity of putting words and beats together, he started writing lyrics of his own. 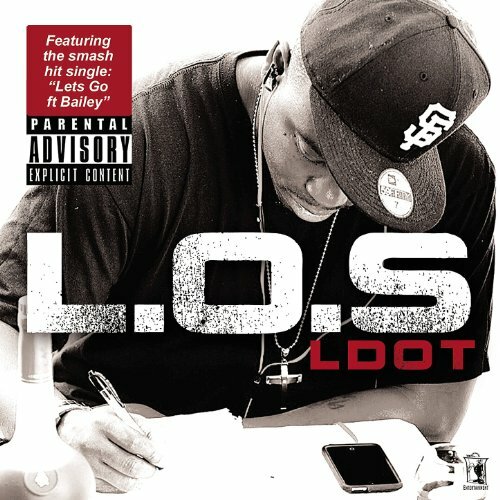 After a series of mix tape releases from 2009 to 2014, L.O.S. recorded his debut album titled "L Dot" through his label Bottom Floor Entertainment, in affiliation with Zip Records and SONY/RED. L.O.S. has performed around California and in addition to sharing the stage with Bay Areaa hip hop luminaries; his music has been featured in advertisements and even a Pharaoh Films cameo appearance! Hip Hop Weekly said it best. " ...... an artist on the rise".